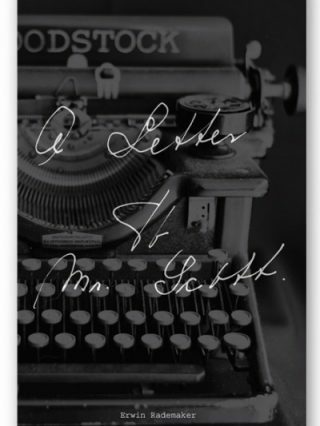 A Letter To Mr Scott is a Waterboys-related book that is not a biography in itself. It is a deeply personal view of what The Waterboys songs mean to the author, and that is what makes it a truly original opus. The author has poured his heart and soul into it as it has been written to express his intense love of the Waterboys music. 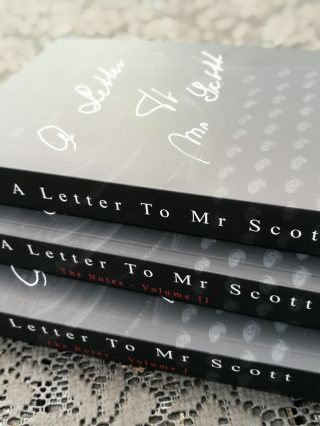 The book takes the form of an open letter to Mike Scott, though it deals solely with the music, and it begins with an extensive list of songs that have had a profound meaning to the author, and long-time Waterboys fan, Erwin Rademaker. In order to prepare himself to write what turns out to be a captivating book, Erwin secreted himself away in Newgrange, County Meath, and over a number of days in seclusion, he listened to every single Waterboys song and jotted down notes and drawings. The opening section of the book makes for captivating reading as with each song we are taken on a journey through the author’s life, his memories and the imagery and emotions that each song evokes for him. Interspersed throughout the book is a fable written by the author with beautiful illustrations especially created for the book by the artist Veronique Castellanos. There are also a number of other breath-taking artworks by the artist Sven Roumen that are printed on colour plates within. 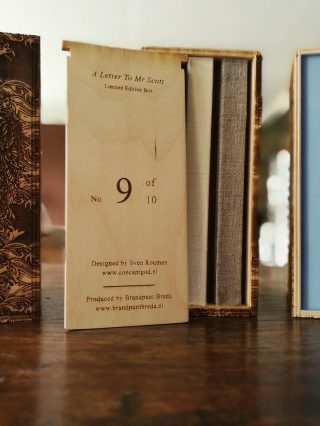 The middle section of this meticulously-crafted book consists in pieces of prose written by a number of Waterfolk who were asked by the author to answer in writing the simple question ‘What Does Music Mean To You?’ These answers are of varying length and are also wonderfully unique in their style while they give great insight into each contributor’s individual perspective on the paramount importance of music in their lives. 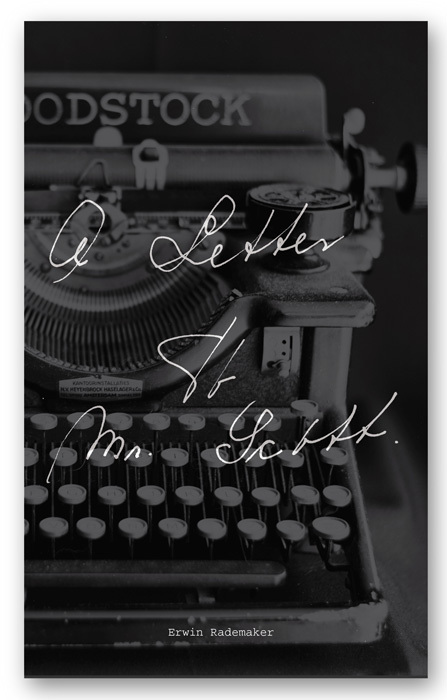 It is a testament to the author’s generosity that he wished to include input from other fans into what can only be described as a labour of love. There then follows an extensive photo section containing colour and mono images of song lyrics complete with the author’s handwritten notes and drawings. There are also several photos of the Waterboys on stage, and many other photos providing visual illustrations to various scenes encountered by the reader in the first part of the book, as well as family shots and more, that relate to the author’s perception of specific Waterboys songs. Lastly, there is a full discography and complete song listing, up to, and including, the latest Waterboys album Modern Blues. Also included is a full band members list to date in alphabetical order, which adds up to 79 past and present members! Sternik (The Helmsman) on What does music mean to you? Mariann on What does music mean to you? Erwin Rademaker (1966) cannot read a single musical note, he cannot play any musical instrument, he is a stranger to pace and rhythm, and he cannot sing in tune either. However, music plays a very important role in his life, especially the music of The Waterboys. He asked himself a simple question: why? To answer this question, Rademaker went to Newgrange, County Meath, Ireland, to listen to the complete works of The Waterboys in solitary seclusion. 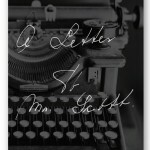 His findings are presented in this book, which is – solely for conceptual reasons – an open letter addressed to Mike Scott. Rademaker works as a programme manager at the Port of Rotterdam Authority and spends his spare time travelling, writing and photographing. He currently lives in Breda, the Netherlands.